Can you use someone else's idea? This site is written to entertain and explain some situations which may come up involving intellectual property law issues. It is general, and is personal opinion and an educational tool. This site does not give specific legal advice about specific fact situations. If you have a specific fact situation in mind you should ask for professional legal advice about the relevant facts. Seemingly minor changes in facts may change a legal opinion dramatically. Space here does not permit an explanation of all the variables in complex legal areas. 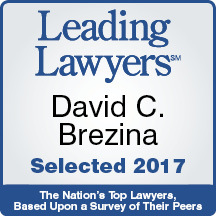 Dave Brezina is an Illinois lawyer and his profession is regulated by the authority of the Supreme Court of Illinois. His law practice is performed in Illinois and is not subject to regulation by other states. Dave Brezina is also a Registered Patent Attorney and a patent practice is regulated by the US Patent and Trademark Office a Federal agency and is not subject to regulation by the states. Finally, do not submit confidential information, there is not an attorney client relationship created simply by correspondence or communication with the author of this site.